With back-to-college right around the corner, some students will be sleeping on mattresses that don’t make the grade. Adding this topper to a dorm or apartment mattress will revitalize any mattress to get that clean, new-bed feel. CopperFresh® technology infused into the foam helps keep the bed clean and fresh, a must for busy students. The infusion of copper eliminates virtually all odor-causing bacteria and conducts heat away from the body, enhancing deep sleep– promoting sharper waking hours and better performance. The reversible design lets you choose a side based on your personal preference. 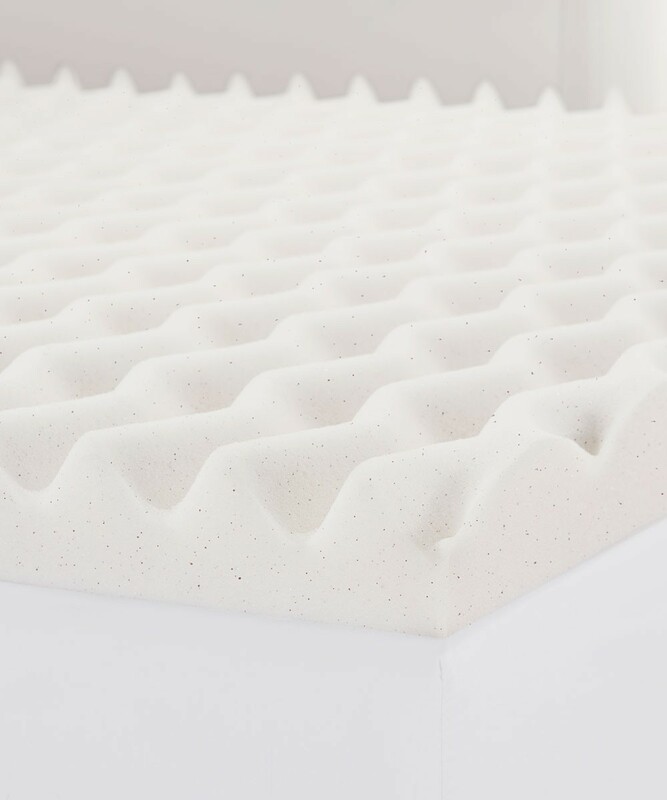 The wave side allows for maximum air-flow and a plush feel, while the flat side provides a consistently smooth sleep surface with a slightly firmer feel.